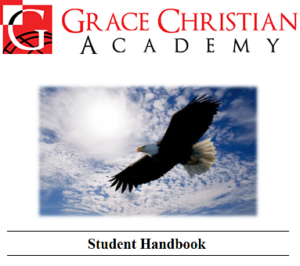 Grace Christian Academy is a fully accredited, K3-12 academy who is accredited by the Georgia Association of Christian Schools and the American Association of Christian Schools. Our passion is simple. We strive to provide an academically rigorous, college predatory education in a distinctly Christian environment. We have dedicated faculty and staff who are “sold-out” to our mission to equip the next generation for success and service to Jesus Christ. Thank you for giving us the opportunity to make a difference in the life of your children. It’s truly our privilege to serve Christ and you! Take a look around and see what God is doing in our school. If you need help with admissions, please contact Mrs. Carol Hall, our Director of Admissions by calling (770) 461-0137. Enrollment is open and we are currently accepting new families for the 2019-2020 school year. Come get the help you need! Tuesday mornings at 7:15m in Mr. Brondyke’s conference room. This is open to all high school students and their parents. Complete Re-enrollment by February 28th to receive a discounted re-enrollment fee. Details available in the front office. Unless given express permission, from a parent or guardian, students will no longer be allowed to charge lunches to their family’s school account. Students should submit a lunch order or bring money with them each day. Want to tour our Campus? Call the school office at (770) 461-0137 and speak to our Admissions Director, Mrs. Carol Hall, for available tour times. We look forward to seeing you soon! Ms. Reed’s student mentorship program is back and in full swing. For more information, please contact the school office. © Copyright 2018 Grace Christian Academy | Designed by Vibrant Web Creations, LLC | STATEMENT OF NONDISCRIMINATION Grace Christian Academy admits students of any race, color, national, or ethnic origin to all the rights, privileges, programs, and activities generally accorded or made available to students at Grace Christian Academy. It does not discriminate based on race, color, national or ethnic origin in administration of its educational policies, admissions policies, scholarship and loan programs, and athletic and other school-administered programs.